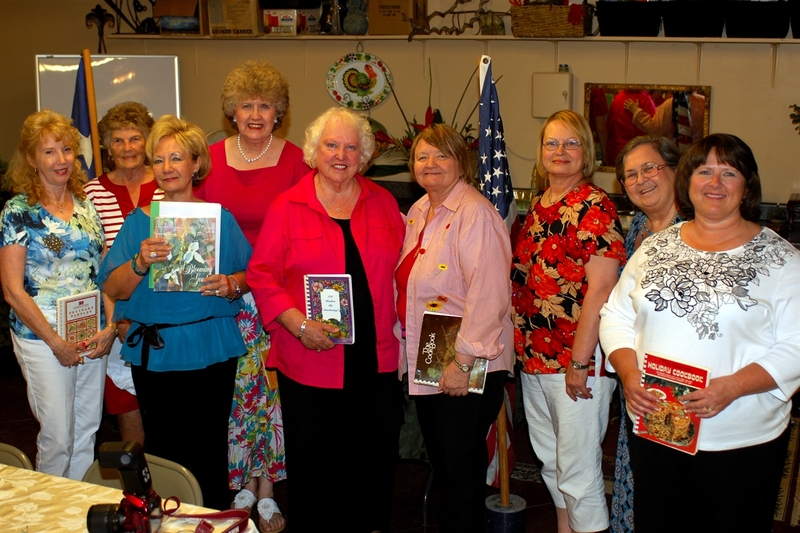 Sunnyvale Garden Club, which recently earned the 2012 State Gold Club of the Year award from Texas Garden Clubs, Inc., has announced its officers for 2013-2014. After the installation ceremony, the new officers posed for their first official photo. Did you see the Neighbors Go article that featured long-time Sunnyvale Garden Club member Janet Nevil? If not, see below. Janet Nevil and her husband, Holly Nevil Jr., couldn’t find a Sunnyvale house to buy in 1995, so they settled down in an unconventional spot. Sunnyvale’s prime location — about 20 minutes east of downtown Dallas — and wide expanses of undeveloped land make it an increasingly popular destination for affluent homebuyers and contributed to its ranking as the best neighborhood for this demographic in the Garland-Mesquite area, according to an intensive data analysis by The Dallas Morning News. The News’ rankings were based on factors like safety, neighborhood maintenance and ease of commute, weighted according to the surveyed preferences of individuals making $85,000 per year or more in the Dallas-Fort Worth area. To qualify for this category, only neighborhoods with a median home value of $250,000 or more were considered. Price-sensitive factors like affordability, home-value appreciation, and quality of public schools did not factor into The News’ analysis. The Nevils own Miller Brace Co., which specializes in making and fitting body braces. The commute between their office, located near Baylor University Medical Center at Dallas, and home is only 20 minutes, another reason they targeted Sunnyvale, Janet Nevil said. Savage, whose interim term as town manager will soon expire, lives in Plano and commutes to Sunnyvale. Lance and Uma Youts recently moved to the area from Far North Dallas. While searching for a new home in which to raise their 7-year-old triplets, they had three things in mind: proximity to downtown Dallas, high-performing schools and a quality plot of land on which they could build their ideal home. But because most of the developing areas near their old home would push them farther from Lance’s downtown office, where he works as a certified public accountant, the couple decided to build their new house in Sunnyvale. Residents like Kim Ingram, a member of the Sunnyvale ISD board of trustees, are quick to point out that the community is full of people of various income groups and is built around the school system. Ingram, her husband Blake and their two children, now 21 and 18, moved to Sunnyvale in 1999, and found they could purchase an expansive 10-acre piece of land for a relatively affordable price. The Ingrams built their home around the land as much as their lifestyle. For her, that country comfort is hard to beat. Neighborsgo reporter Daniel Houston can be reached at 214-977-8024. Data analysis by staff writer Daniel Lathrop. 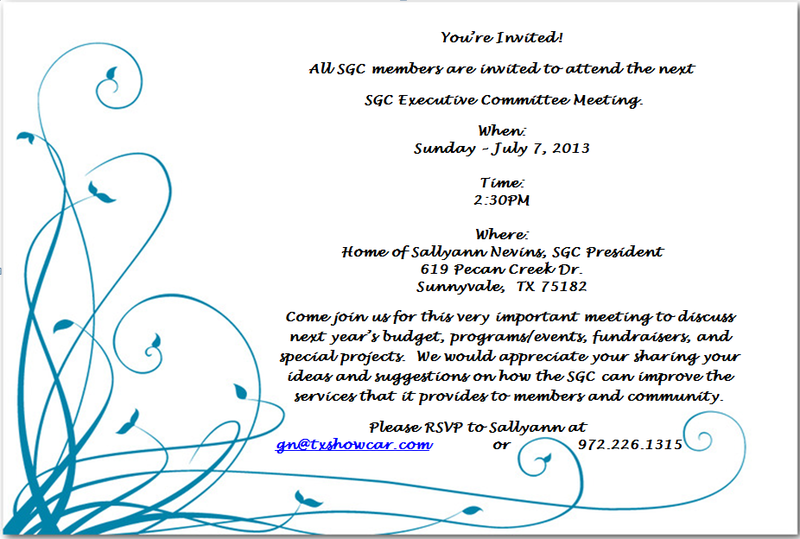 If you haven’t renewed your SGC membership, please complete the 2013-2014 SGC Membership Form and return it with $35 annual dues. Respond by June 30, 2013, and you will definitely have your name & information included in the 2013-2014 yearbook. 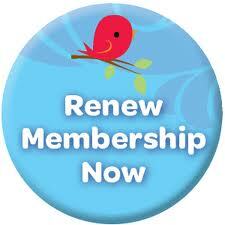 All others will be added to the membership list for next year’s renewal and yearbook. Returning your completed form is the only way to assure accuracy in your membership information, as well as notification for all garden club events. Don’t miss the opportunity to participate in another exciting year of garden club programs and activities! Renew now! Our first Summer Symposium will be held Tuesday, June 11 starting with a pot luck dinner at 6pm, at Janet Nevil’s house, 582 N. Collins Rd. 972-203-1552. Our mayor will be present to inform us of the newest water restrictions and is available to chat during the dinner. Invite your friends and neighbors to come have some fun with us! Our project this month is to create garden wind chimes! If you have any large beads or large washers (with the hole in the middle) or sea shells, we will be using them to create the windchimes. The garden club will be supplying all that is needed, but if you want to get a bit creative, these items could be beneficial. Summertime is here! I discovered this little recipe last year that helped make the long, hot days in Texas more bearable. When you sip it, you may feel as though you’ve traveled back to a time of front porch swings, bare feet, and lightning bugs (of which I’ve only seen one in my yard this year). 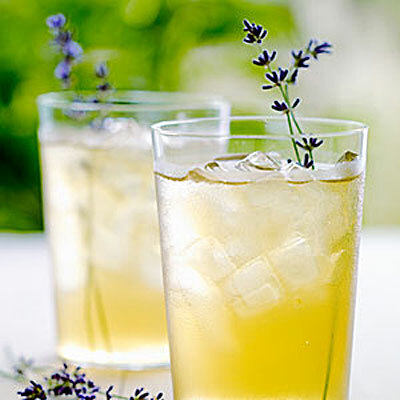 If you don’t have access to lavender from your garden, you may purchase organic lavender blossoms at any good health food store in the bulk spice section. You can also order online if you think you’ll be needing a large quantity to get through the season. 1 cup loosely packed fresh lavender flower (don’t bother to remove the blossoms from the stem, just trim the stem) Use 3 rounded Tablespoons dried lavender if you do not have fresh. In a small saucepan combine sugar and water. Bring to a boil on medium-high heat, stirring often. Turn the heat down to medium and continue boiling for a minute or two, stirring often. Add the lavender, stir, turn off the heat and cover the pot with a lid. Steep the lavender in the simple syrup for 15 minutes then strain. Store in the refrigerator, it will thicken a bit as it cools. You do not need to wait until it cools to make the lemonade. 1 lemon juiced, strain out the seeds. Combine the water, lemon juice, and syrup in a glass pitcher and stir well. Serve over plenty of ice!